Both Rabi and Kharif crops have been hit in these areas with water scarcity taking a toll on human and animals alike. Failure of crops like jowar, napier grass, maize, etc, has triggered a serious fodder crisis, which has threatened livestock across the state. Acute water shortage in Marathwada has now forced the administration to fine citizens found wasting water. In Parbhani, where residents are getting water supply once in 15 days, the municipal corporation this week fined three local residents Rs 1,500 each for allegedly leaving public water taps running. 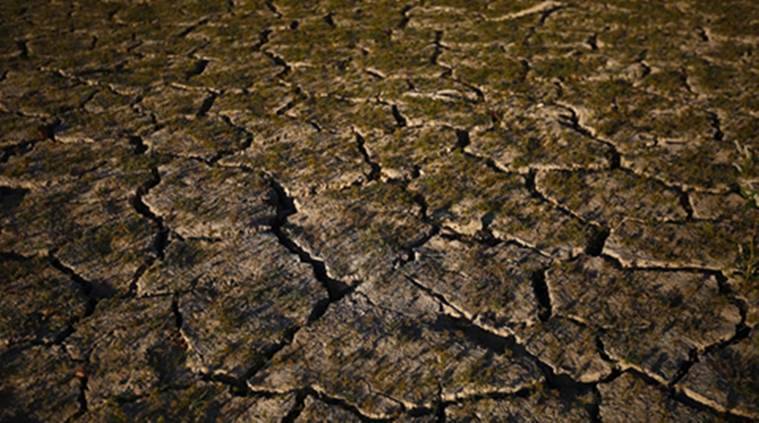 Following a failure of monsoon, especially in Nashik and Marathwada, drought has been declared in at least 151 talukas of the state. Both Rabi and Kharif crops have been hit in these areas with water scarcity taking a toll on human and animals alike. Failure of crops like jowar, napier grass, maize, etc, has triggered a serious fodder crisis, which has threatened livestock across the state. The problem has been especially acute in Marathwada, where farmers had complained of fodder crisis as early as in October. Water shortage has now started to pinch residents in Parbhani – located 500 km to the east of Mumbai the city has a population of three lakh – over the last few months with certain pockets receiving water once every day. In March, water supply was cut further and limited to only twice a month. Rationing of water is done to ensure availability of some water till the arrival of monsoon. Taking a step further, the civic body in Parbhani has also to set up three roving squads to ensure that water is not being wasted in the city. On Thursday, the squad fined three persons Rs 1,500 each after it was found that they were responsible for “wastage of water”. Officials claimed that it was necessary to instill some discipline among the people due to the acute shortage of water in the area. Local leaders said the poor in the city were the most affected by the water rationing. Rather than slapping people with fines, they said, the administration should fasten work on the Jintur to Parbhani city water pipeline that has been stuck at the planning stage for the last seven years. for a week is around Rs 300 in the open market. For a bulk of the poor, who earn less than Rs 300 a day, this is a huge amount. Rather than helping to sort out the problem, the administration is busy in elections and such gimmicks,” corporator Gaus Mohammed said. Referring to the delay in the drinking water supply project, the corporator said, the cost of the project has now spiraled from Rs 120 crore to Rs 550 crore. “The project has been in the pipeline for the last seven years. The administration should put its interest in completing these projects first so that residents get adequate water supply rather than indulging in gimmicks,” Mohammed said.